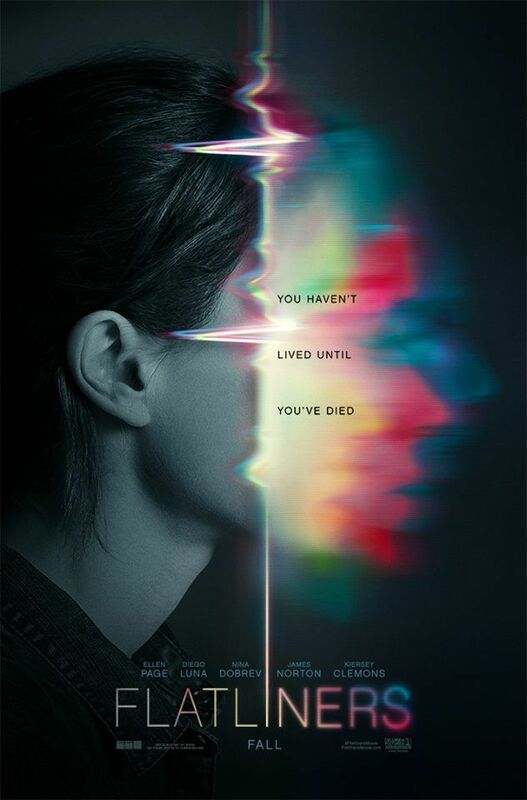 A medical student, Courtney (Ellen Page), is obsessed with the idea of the afterlife, wanting to find out what happens after death. She invites fellow students Jamie (James Norton) and Sophia (Kiersey Clemons) to join her in an experiment, in an unused hospital room: using defibrillation to stop her heart for sixty seconds whilst recording her brain, and then reviving her. She assures them they would not be held responsible for any accidents. Sophia is against this, but Jamie does it anyway. After sixty seconds, they panic as they are unable to revive her, but eventually manage to with the help of Ray (Diego Luna). Later, Marlo (Nina Dobrev) arrives and learns of the experiment. Read more on Wikipedia.